Derived from the Spanish word “presidir” meaning to preside or to oversee, the Spanish set up a series of Presidios or military forts throughout its territories in the Americas. From South America to California, Presidios were built to protect the Missions and the Pueblos from invading foreigners or from local native groups unhappy with the mission system. The best example of a Presidio today in the U.S. is the reconstructed El Presidio de Santa Bárbara which was added on to the original El Cuartel, or soldier’s quarters building – the second oldest standing structure in Alta California. 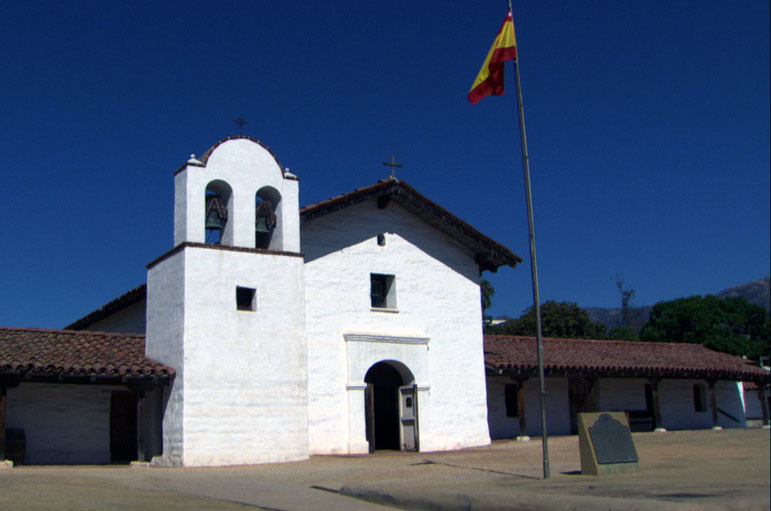 In Alta California there were a total of four presidios – the first established at San Diego, followed by Monterrey, San Francisco and Santa Barbara. At Monterey, the historic chapel remains in use today. At San Francisco, the original Spanish presidio was used by U.S. troops after the western takeover of California by the Washington DC government. At San Diego, archaeological explorations have revealed the layout of the vast Presidio at San Diego.